Svetogorsk is an industrial town in Vyborgsky District of Leningrad Oblast, Russia, located on the Karelian Isthmus, on the Vuoksa River. 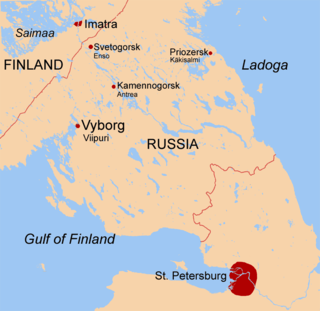 It is located 1 kilometer (0.62 mi) from the Finnish–Russian border, 5 kilometers (3.1 mi) from the Finnish town of Imatra, and 207 kilometers (129 mi) from St. Petersburg. Population: 15,981 (2010 Census); 15,698 (2002 Census); 15,594 (1989 Census). 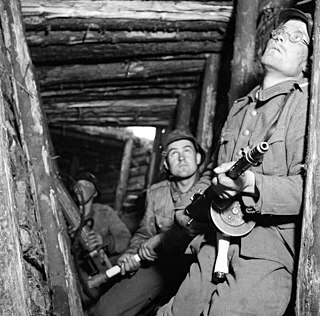 The Interim Peace was a short period in the history of Finland during the Second World War. 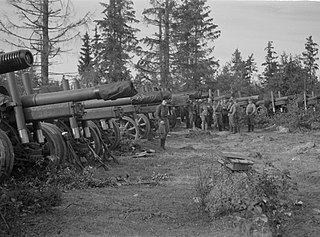 The term is used for the time between the Winter War and the Continuation War, lasting a little over a year, from 13 March 1940 to 24 June 1941. 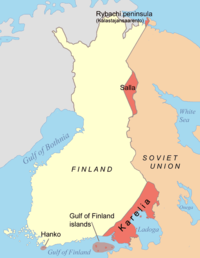 The Moscow Peace Treaty was signed by Finland and the Soviet Union on 12 March 1940 and it ended the 105-day Winter War.